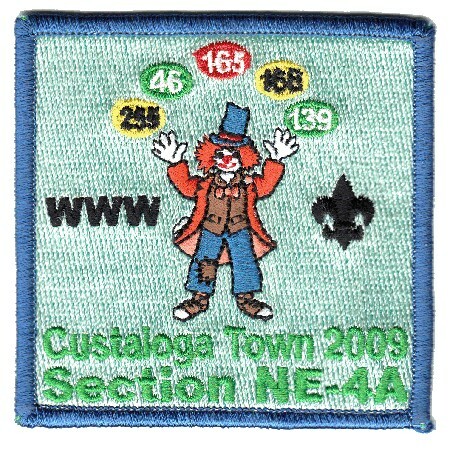 I had previously posted about the NE-4A 2009 Section Conclave which was held at Custaloga Town Scout Reservation and hosted by Langundowi Lodge #46. 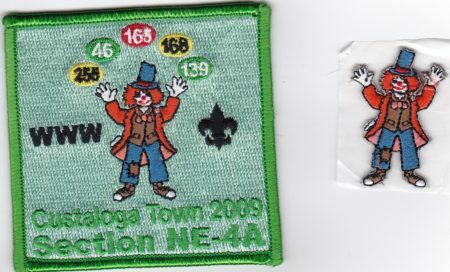 In addition to what I had previously posted, there was also a participation award, an embroidered clown sticker which could be added to the pocket patch. 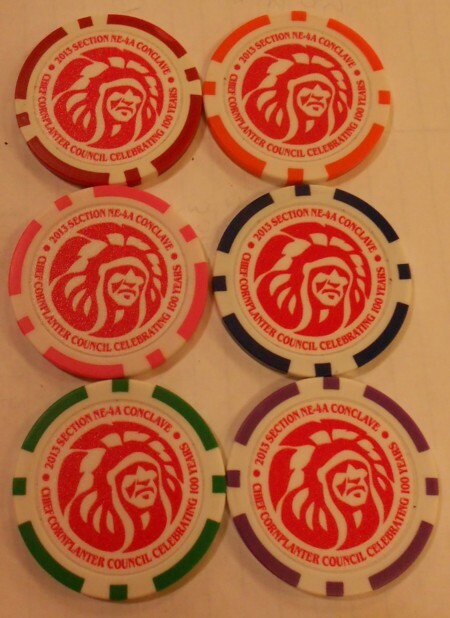 The participation patch is shown on the left. I’ll update the original post with the image. This was one of my acquisitions from the WNYTA 36th Scout Memorabilia Trade O Ree earlier this month. I’m still looking for the following patch from the weekend. 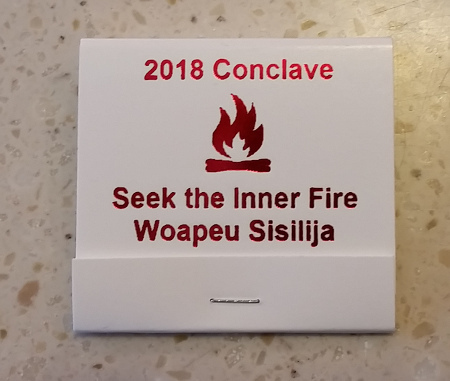 Section NE-4A 2018 Conclave Promotional Matchbook. 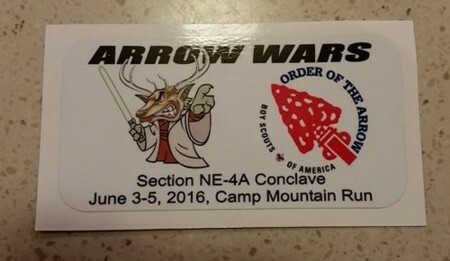 The 2017 Section NE-4A 2017 Conclave was hosted by Ho-Nan-Ne-Ho-Ont #165 and held at their Elk Lick Scout Reservation. 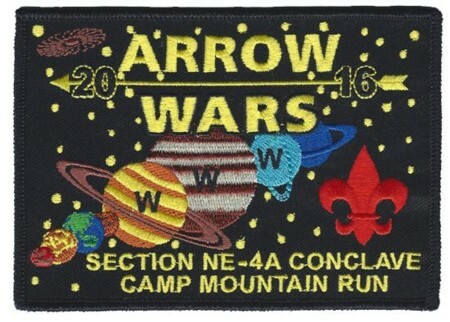 The theme was “The Order of the Arrow’s Got Talent”. 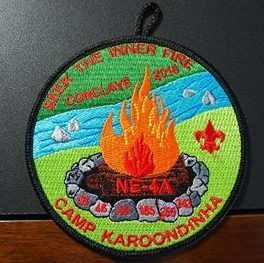 7 patch set, only patches made for the event. 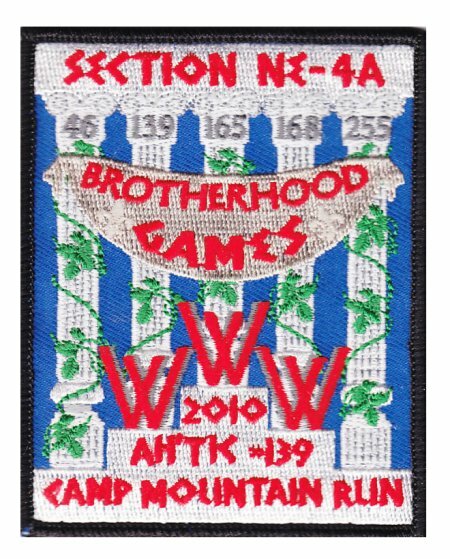 Each lodge was represented by its color listed in the stars on the patch. Only sold 15 complete sets. Will not be easy to put set together. Host lodge was yellow being Ho-Nan-Ne-Ho-Ont #165 hosted at Elk Lick Scout Reserve which might be hardest one to come by as there were more host lodge people than any other lodge, and we were limited to 1. 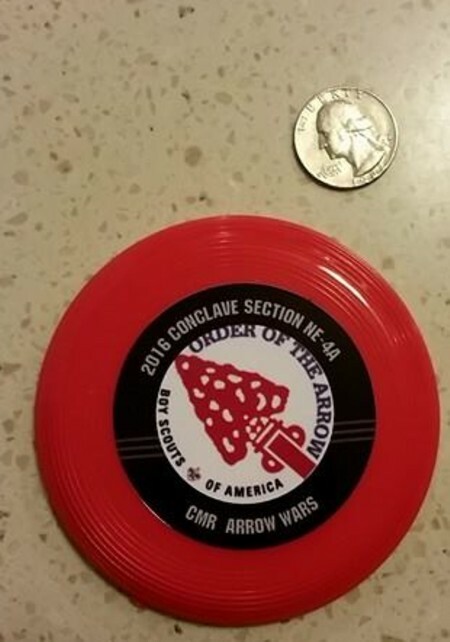 Silver boarder was a “section delegate” patch. 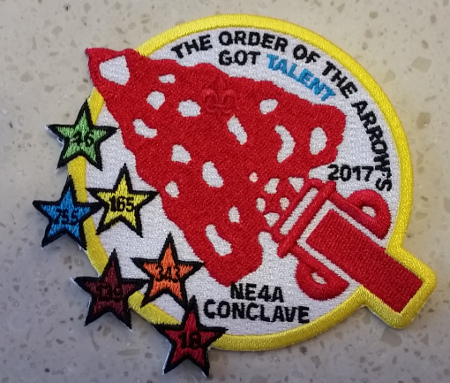 The 2017 NE-4A Conclave had seven different patches. 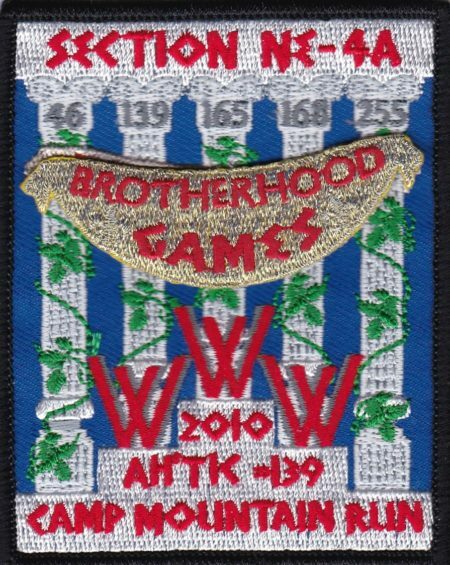 One border color for each of the lodges in the section and one for section officers. 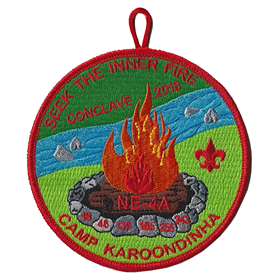 Due to an ordering issue they only ordered 70 per color and didn’t order them in quantities sufficient to enable the sale of full sets with most attendees only receiving their lodge’s border color patch. and here is the full set, the border color matches the background of the lodge star. I currently need all but the Red Border if anyone has any available for trade or sale.